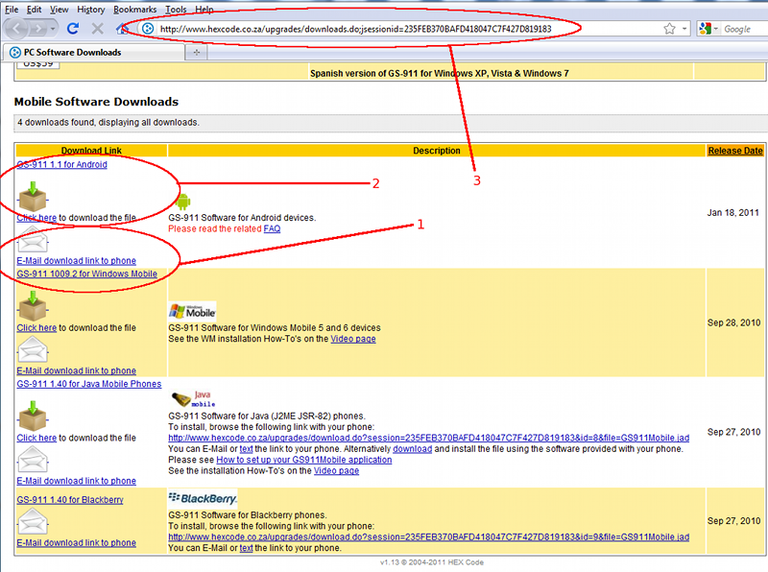 How to install the mobile software? A short generic description of the options available for installing the mobile software on your mobile device. When you click on this link, it will open the default email client on your PC with the link already populated in the body of the email… you simply add the email address that you want to send it to. Make sure this is an email that you can access on your mobile device… If you don’t have one (highly unlikely), you can register on gmail.com for free. Once you open the email on your mobile device, simply click on the link and this will install the software. You might also have to enable ‘install from unknown sources’ in your phone settings. As the heading suggests, you download the install package (typically: right-click, save-as…). This will now be somewhere on your PC… and it is not our responsibility to teach you how to install a package on YOUR mobile device Manual installation procedures differ from device to device, manufacturer to manufacturer and are even different (or prohibited) for various Operators (AT&T etc. )… if you need help on the manual install… Google is your friend! This article is public by CnAutotool. see more Car Diagnostic Tools, just visit our website. The Volvo 88890300 Vocom Interface is designed with focus on robustness and durability to withstand the tough workshop environment. This is the most recent adapter from Volvo, and replaces all old adapters including 88890180 and 88890020. The Volvo 88890300 Vocom interface has several useful functions and design features. These include a much more durable housing than the Volvo Communication Adapter. This increases reliability and longevity. Also, like the previous interface, the Auto Diagnostic tool Volvo 88890300 Vocom supports 802.11 wireless connectivity. Volvo Premium Tech Tool (TT) is a tool that supports the repair and diagnostic process. It was developed to make repair shop tasks easier and more efficient. TT can be used in the repair shop, out in the field, at the roadside, or during test drives. TT is a diagnostics application that covers the whole repair process through the use of plug-ins. With TT you can diagnose, test, calibrate, and program a product. A product could be a vehicle, engine, or a machine. TT also provide functions for updating the tool, communication with the product, and other external applications. The set of plug-ins, user authorizations, and available languages is adjustable to provide every user with what they need. Cnautotool offer original Vocom 88890300, we don’t sell any low-quality chinese copies. To ensure our customers that our devices are high quality, we provide 1 year of full warranty . 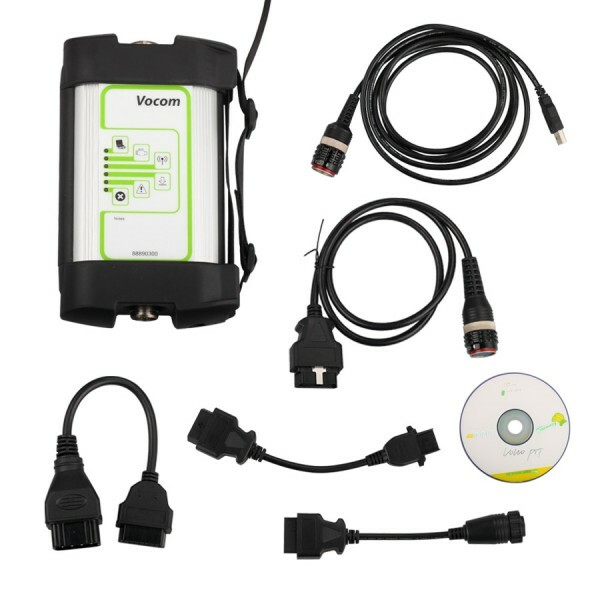 So if you have any problem with Volvo 88890300 Vocom interface, please contact our technical support department and we will do all our best to repair the device. How to Delete Software of AUTEL MaxiSYS Pro MS908P? WIFI AUTEL MaxiSYS Pro MS908P is with complete capabilities for codes, live data, actuation tests, adaptations, coding and ECU programming.And sometimes,some of car software in the device can not use correctly,you may need to delete the software and download the car software again to Autel Maxisys Pro. 1.Start the machine,and click Data Manager. 3.Then it will display the car software in the device. 4.Choose the car software you need to delete. 5.Click the delete button to remove. One good thing is that you don’t need to download all 5 brands while starting to use this software. But still the support is bit lame.After all it feels that this is really worth of money.I also test this with Car Diagnostic Tools since they couldn’t reset Webasto heater in “his” indy shop, I downloaded VW few days ago and tested it with 2007 Transporter. It worked fine with my phone, however it did not recognize the VIN of the car and i had to feed it manually. after that all Ecu’s were recognized and I was able to unlock Aux Heater which were locked by some errors. Also some errors found ant those could be diagnosed as well reset. Very good thing with VW is that there are quite good explanations about the errors as well how to get rid of these. The Autel Pro diagnostic tool rapidly performs every job from comprehensive vehicle diagnostics & analysis to advanced ECU programming. it is new Autel Maxisys series product.BuyOBDtoolShop.com have four autel maxisys diagnostic tools:Autel maxisys elite,autel MS908P,Autel MS908,Mini Autel Maxisys.How to choose the suitable one? The display device automatically searches for available updates for all of the Maxisys components when it is connected to the internet. Any Updates that are found can be downloaded and installed on the Autel Pro scanner. This section describes installing an update to the Autel MaxiSys Pro Diagnostic System firmware. A notification message displays if an update is available when the Notifications function is enabled in the Settings applications. Launch iCarScan VCI Bluetooth Scanner, the update version of iDiag, is for Android only no iOS version available. iCarScan features in 5 Brand Vehicle Software for Free. Someone says software is basically same. Launch ICarScan comes with 5 models free @ $66 each other than that I think maybe the same tool, you do not have to choose models when you register, you can add them as you find you need them. And you don’t have to download the 5 free software during the first time setup, I have downloaded only 2 of those 5 and will download the rest three one by one at once there is a need for new brand. I don’t know if the update support of the later installed software will be year but this does not really matter. However I believe that I need to download all brands before one year from first subscription.